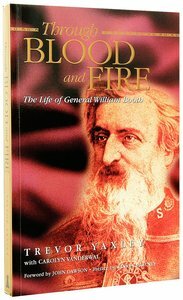 General William Booth had the courage to 'raise an army' that lived passionately for God. "General Booth is one of my heroes. I am grateful to Trevor for giving us Booth's stories. Read and be inspired and challenged!" - Loren Cunningham, YWAM. About "Through Blood and Fire"
Trevor Yaxley and his wife, Jan, pursue their hearts passion of evangelizing, training and equipping people to bring postivie change to their home country of New Zealand.